The European Commission is referring Germany and five other EU countries to the European Court of Justice for failing to tackle air pollution in their cities, it announced Thursday. Most of the concern is about emissions from diesel vehicles, which pump dangerous levels of nitrogen oxide into the air. The commission began pushing for the clean-up in 2015. Around 400,000 people die prematurely every year across the bloc because of pollutants they breathe, according to the EU's executive. Germany is especially concerned because so many of its municipalities suffer from poor air and so many of its carmakers — a key part of the German economy — rely heavily on building diesel cars. Besides Germany, plans presented earlier this year by France, Hungary, Italy, Romania and Britain to tackle air pollution are "not sufficient to comply with air quality standards as soon as possible," said EU Environment Commissioner Karmenu Vella. The move follows a summit in January in which the Commission said it would get tough on member states that were still in breach of targets introduced for 2005 and 2010. France, Germany and Britain will be taken to court over their failure to respect limits for nitrogen dioxide (NO2), while Hungary, Italy and Romania failed to meet required standards on the level of particulate matter. 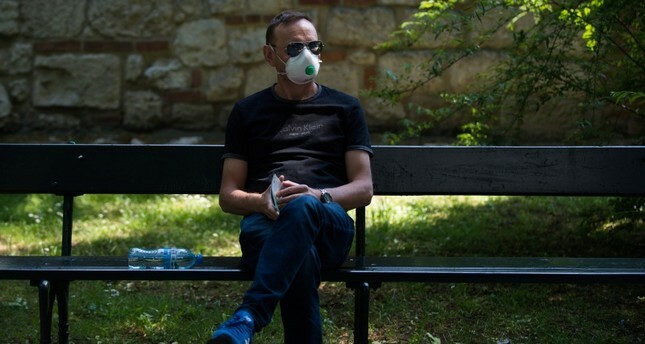 Spain, Slovakia and the Czech Republic avoided court by promising measures that would allow them to live up to EU air quality rules, Vella added. Throughout the EU, fine particulates, small particles of pollution, were responsible for three out of four premature pollution deaths (399,000 out of 487,600) in 2014, according to EU figures. The European Environmental Bureau, an umbrella grouping of environmental activists, has described the nine countries summoned in January as a "toxic bloc."